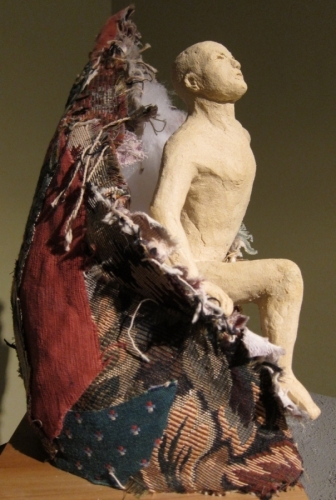 Mixed Media sculpture portraying the fearlessness of a man emerging from the comfort and safety of a cacoon into the world. True fearlessness goes into the unknown with out being armed and so the man is as naked as a new born baby, but with determination on his face. This sculpture is part of a series about fear and fearlessness.